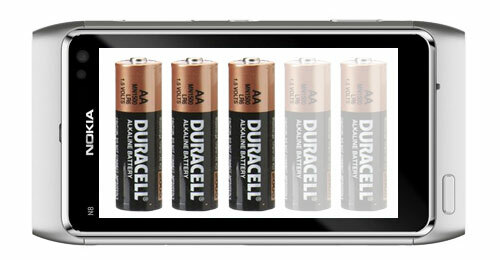 Hot on the heels of our full Nokia N8 review here come the results of the Finnish flagship’s battery test. With the N8 battery being non-user-removable (or at least not without a Torx screwdriver) the battery life will probably be more important to potential customers than usual. We also did a dedicated video playback test, by looping a standard definition XviD video with the screen brightness set to 50%. The Nokia N8 went on for 6 hours and 20 minutes before the N8 battery died on us. Now this isn’t too bad and will probably be more than enough for most users. The only issue is that most of its competitors did better when exposed to similar torture and it might turn out that the battery life will count against the N8 when making direct comparisons.